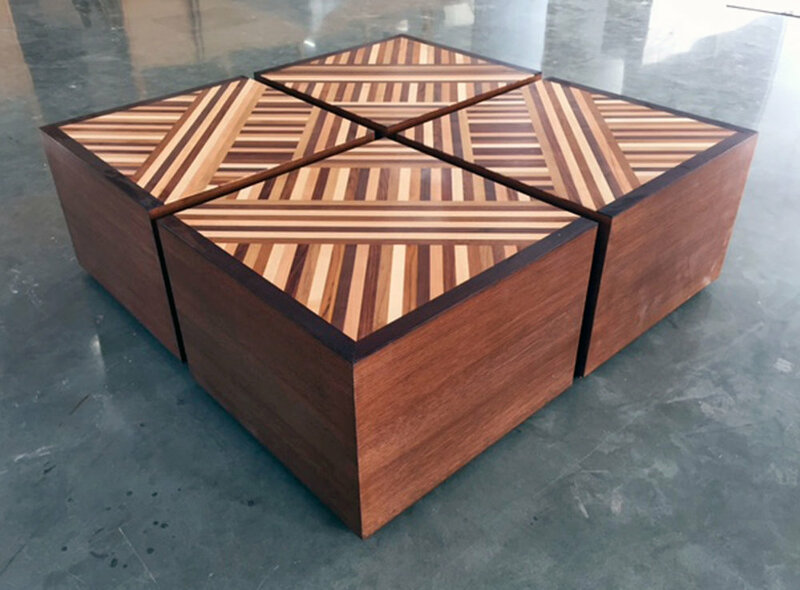 Modular coffee table comes in four parts. 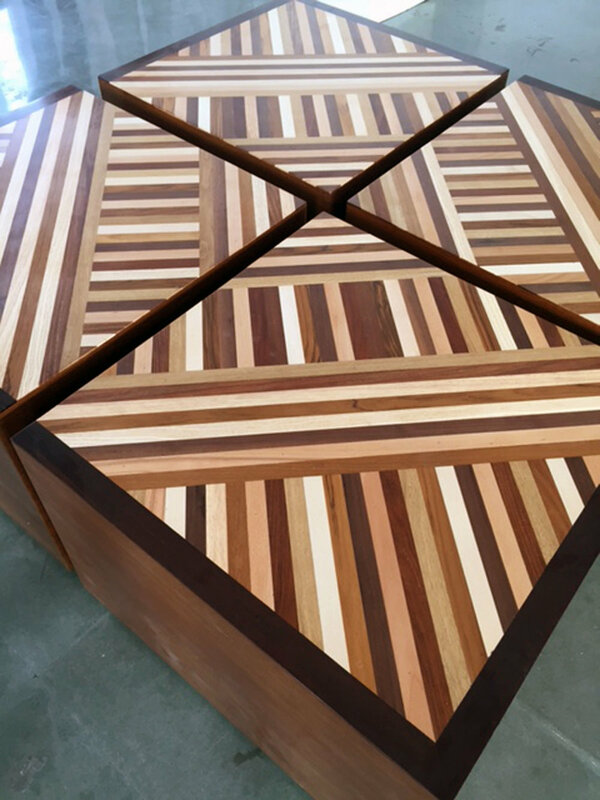 Oak veneer with inlayed top featuring different timbers. Natural wax finish. Set of four pieces.